I am a professor working in areas related to Computer Graphics. These days, my main things are Data Visualization and Robotics, but I remain interested in animation, virtual reality, multimedia, ... A brief biography will tell you how I got here. You can see a reasonably current CV, but you probably are looking for papers, talks, or videos in date order. My research these days is mainly about robotics and data science. With both, I am interested in how we can make them useful for people. This semester (Spring2019) I am teaching CS559 Computer Graphics. I have some pages with various Advice I generally give to students. This includes the format for status reports, what I'd like to see in Prelims and Theses, my grad school FAQ, but my advice on how to give a talk is still elsewhere. You might be interested in my grad school FAQ. Come and talk to me if you're interested in data visualization, robotics, computer graphics or related topics. If you're interested in joining our group, come talk to me! If you aren't a student at Wisconsin yet, please look at my grad school FAQ, particularly the last few questions. Communicating Physical Interactions - We are working on ways for people and robots to communicate to each other about how objects should be manipulated in the world. Manipulations necessarily involve physical interactions (e.g., forces must be applied correctly). We are exploring ways for people to tell robots how to act with appropriate forces (e.g., to teach manipulation skills) as well as for robots to communicate back to people about the actions they are performing. 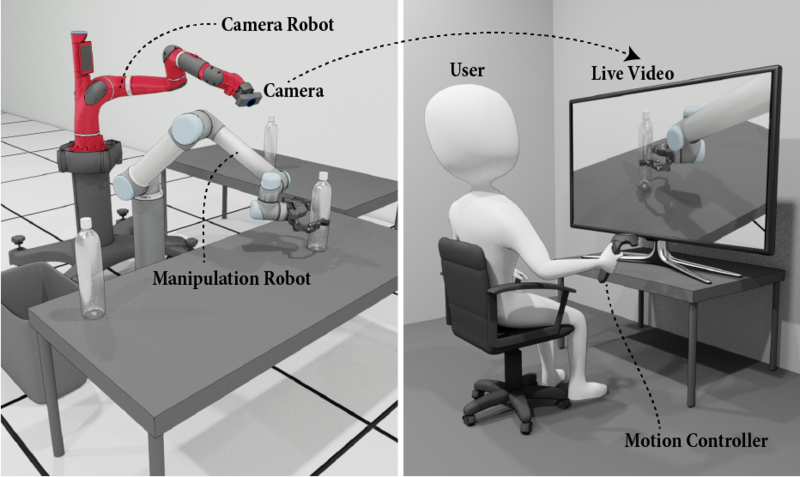 Communicative Robot Motions - If robots are going to work around people, it will be important that people can interpret the robots movements correctly. We are developing ways to make robots move such that people will interpret them correctly. 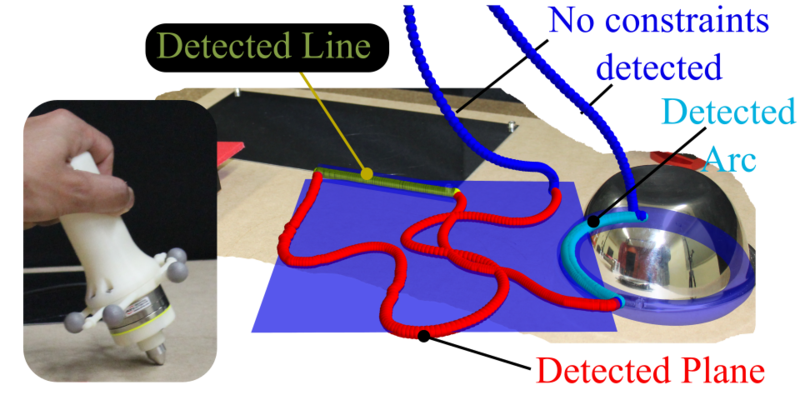 For example, we are considering how to design robot control algorithms such that the resulting movements are understandable, predictable, aesthetically pleasing, and convey a sense of appropriate affect (e.g. confidence). Interacting with Machine Learning - People interact with machine learning systems in many ways: they must build them, debug them, diagnose them, decide to trust them, gain insights on their data from them, etc. We are exploring this in both directions: How do we build machine learning tools into interactive data analysis in order to help people interpret large and complex data? How do we build interaction tools that can help people construct and diagnose machine learning models? 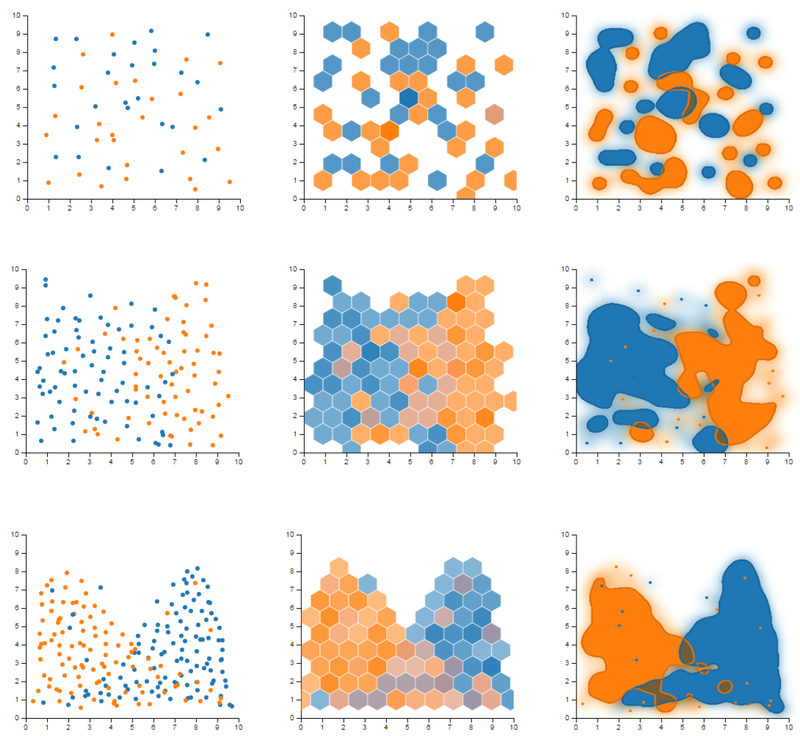 Visualizing Comparisons for Data Science - Data interpretation tasks often involve making comparisons among the data, or can be thought of as comparisons. We are developing better visualization tools for performing comparisons for various data challenges, as well as to developing better methods for inventing new designs. Usable VR and AR - Virtual Reality (VR) and Augmented Reality (AR) are interesting display devices that are becoming practical. 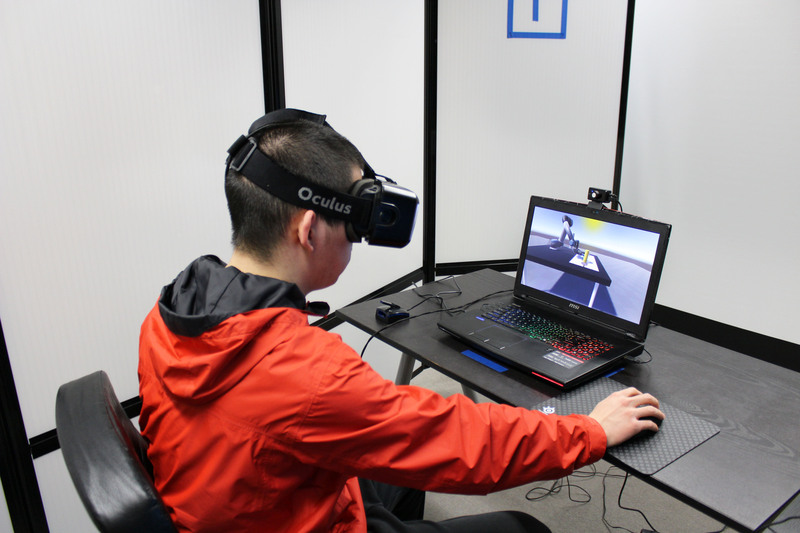 We are exploring how to design VR and AR applications that can address application tasks, as well as to develop new mechanisms that will make these displays more useful across a broad range of applications. Communicative Characters - We are working on better ways to synthesize human motions to make animated characters (both on screen and robots) that are better able to communicate. 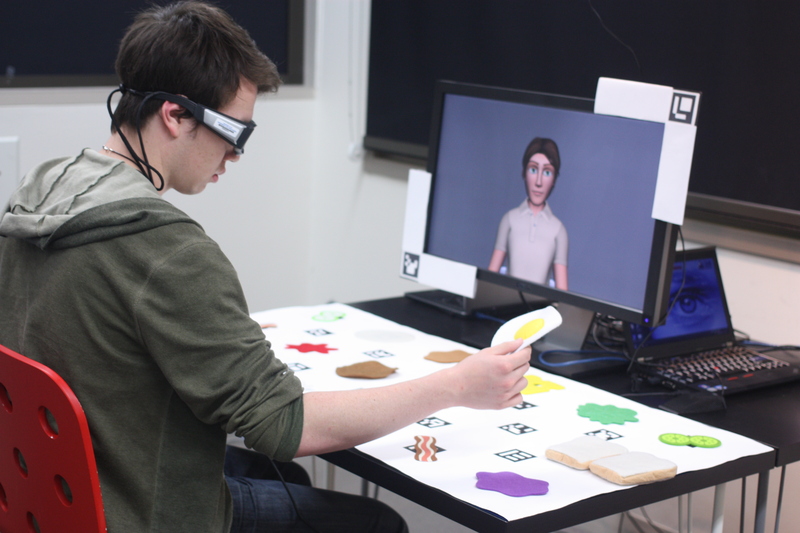 Generally, we focus on trying to make use of collections of examples (such as motion capture) to build models that allow us to generate novel movements, or to define models of communicative motions. Perceptual Principles for Visualization - Understanding how people see can inform how we should design visualizations. 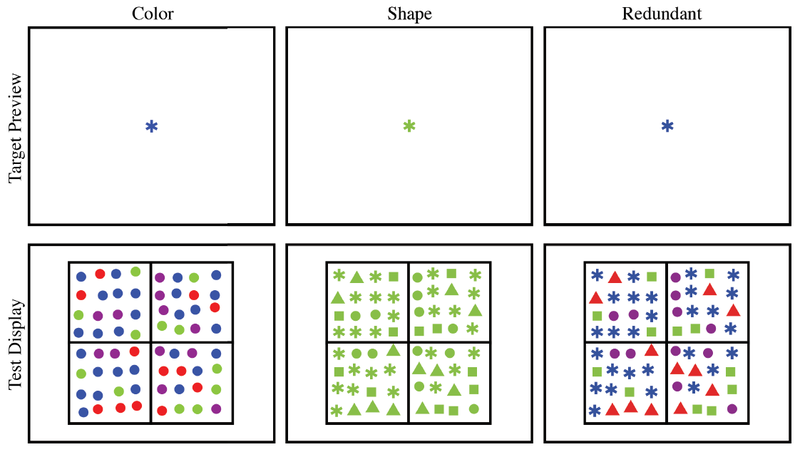 We have been exploring how recent results in perception (e.g., ensemble encoding) can be exploited to create novel visualization designs, and how principles of perception can inform visualization designs. 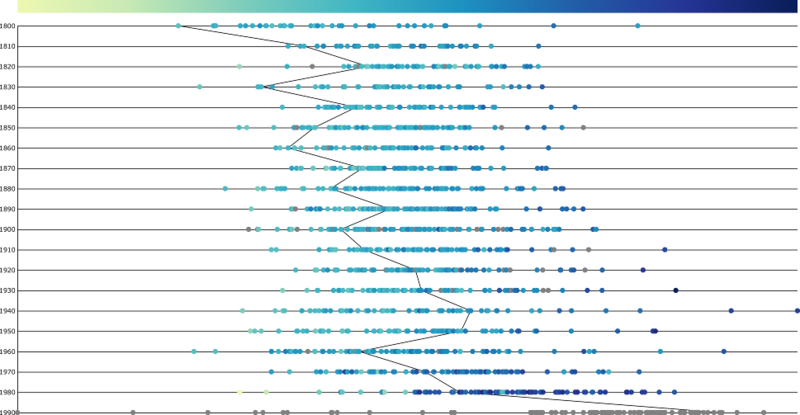 Visualizing English Print - To drive our data science efforts, we took a specific application: working with English literature scholars to develop approaches to working with large collections of historical texts. Video, Animation and Image Authoring - Our goal is to make it easier for people to create useable images and video. For example, we have developed methods for improving pictures and video as a post-process (e.g. removing shadows and stabilizing video). We have also worked on adapting imagery for use in new settings (e.g. image and video retargeting or automatic video editing) and making use of large image collections (e.g. intestingness detection or panorama finding). My teaching schedule used to be regular, but now it changes every semester. CS765 Visualization: (Fall 2018 Fall 2018) (Fall 2017 Fall 2017). This is an experiment in teaching a broad class that serves a very wide range of students. CS559 Computer Graphics: I am teaching this in [Spring 2019 -> http://graphics.cs.wisc.edu/WP/cs559-sp2019/] and plan to continue to teach it regularly. Eftychios Sifrakis taught it in 2016-2018. My offerings include 2015, 2014, 2010, 2009, 2008, 2007, 2006, 2005, and if you're really curious, even older versions of the course page are still on the Graphics Group Courses Page. CS777: Computer Animation is a graduate level CS class for people with some graphics background. This taught was taught regularly in the past (2013, 2011,2006,2004, 2003). Advanced Graphics: In the Spring of 2009, I taught an Advanced Graphics class. You can find other information on graphics group classes on the Graphics Group Courses Page.